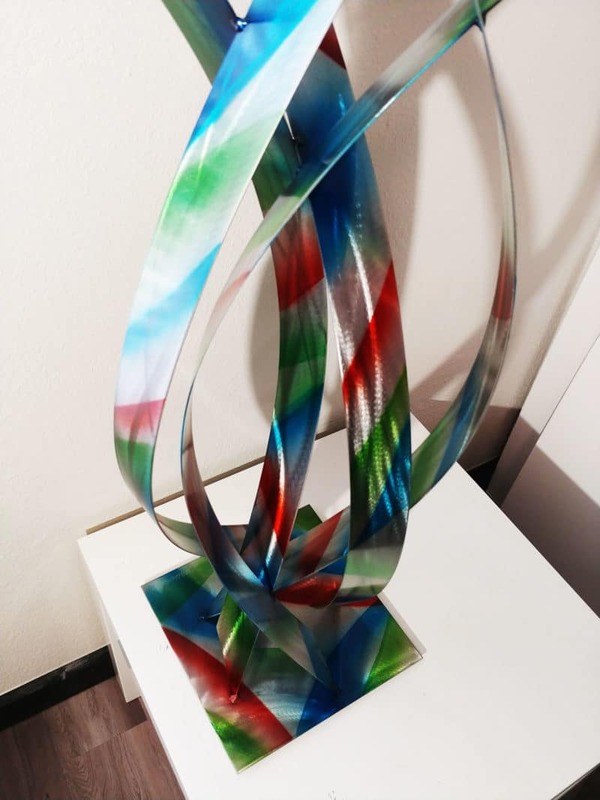 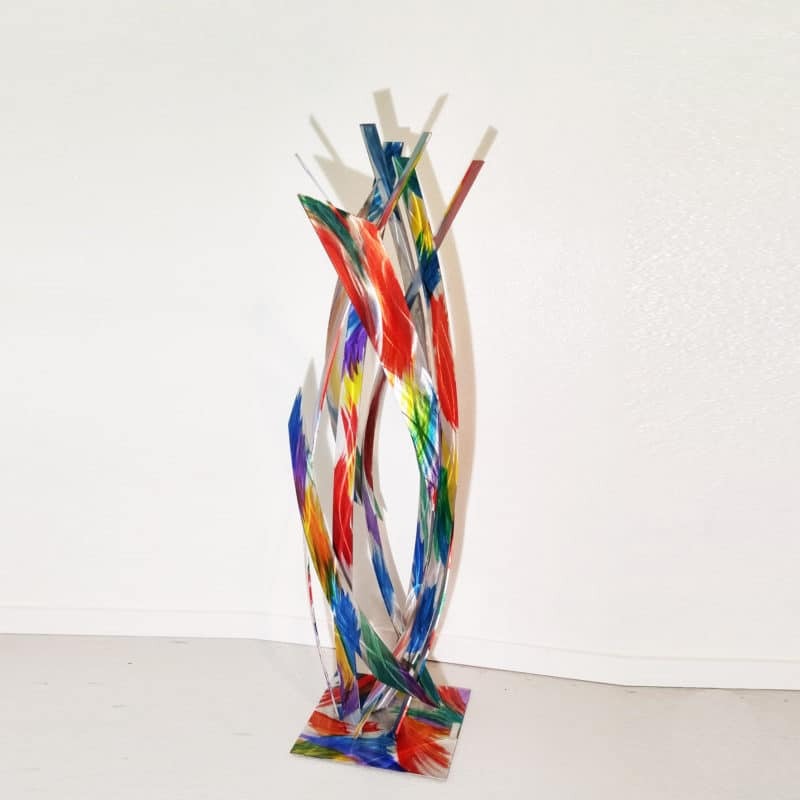 A contemporary red green and blue sculpture with the colors applied over the deep grind patterns in this stainless steel piece. 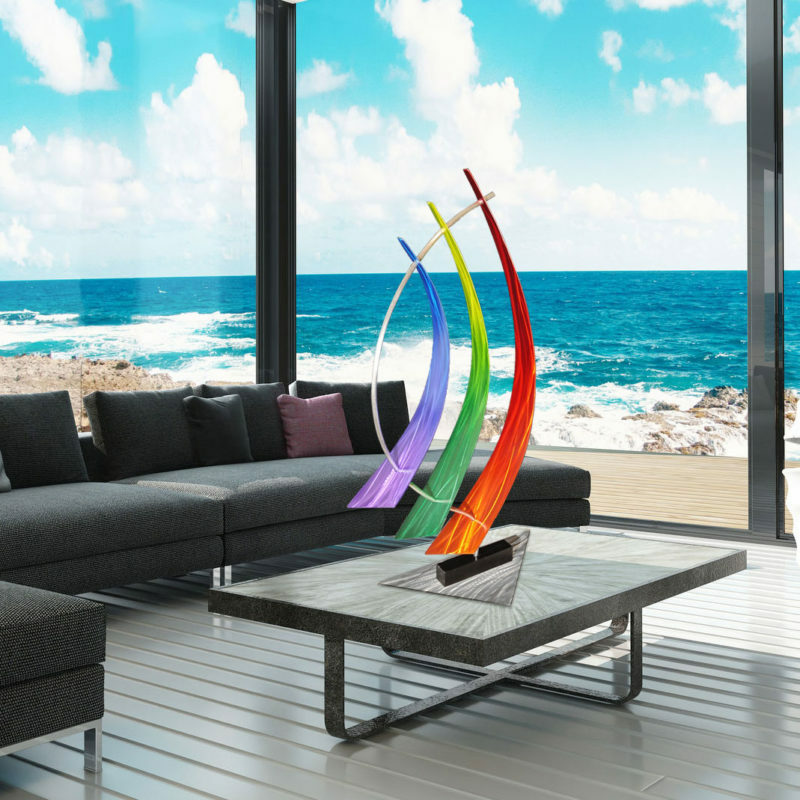 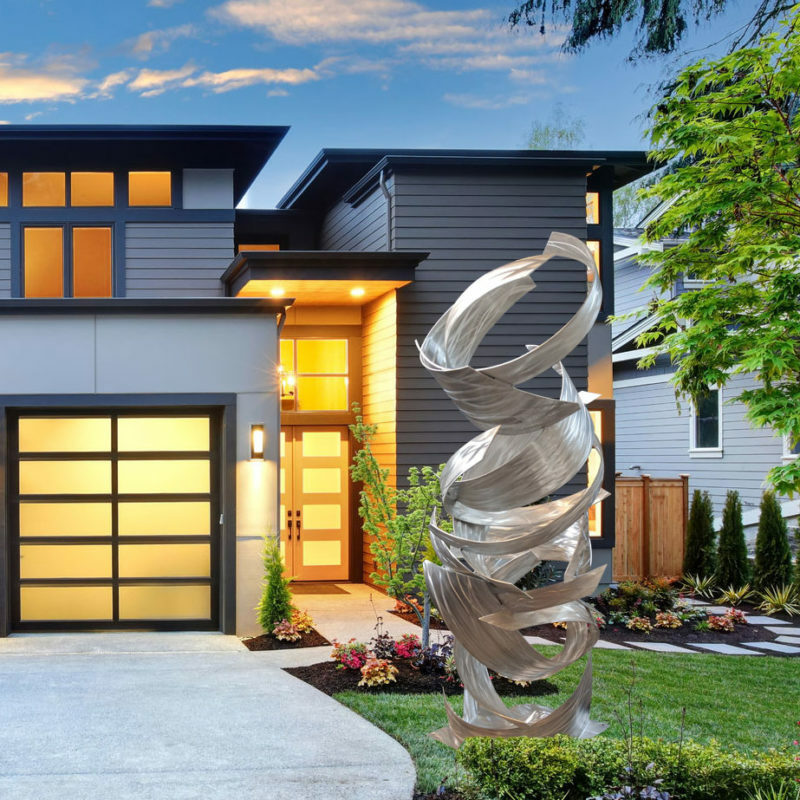 It reflects Dustin’s contemporary style adapting to it’s environment as each piece is welded to create this curving sleek style. 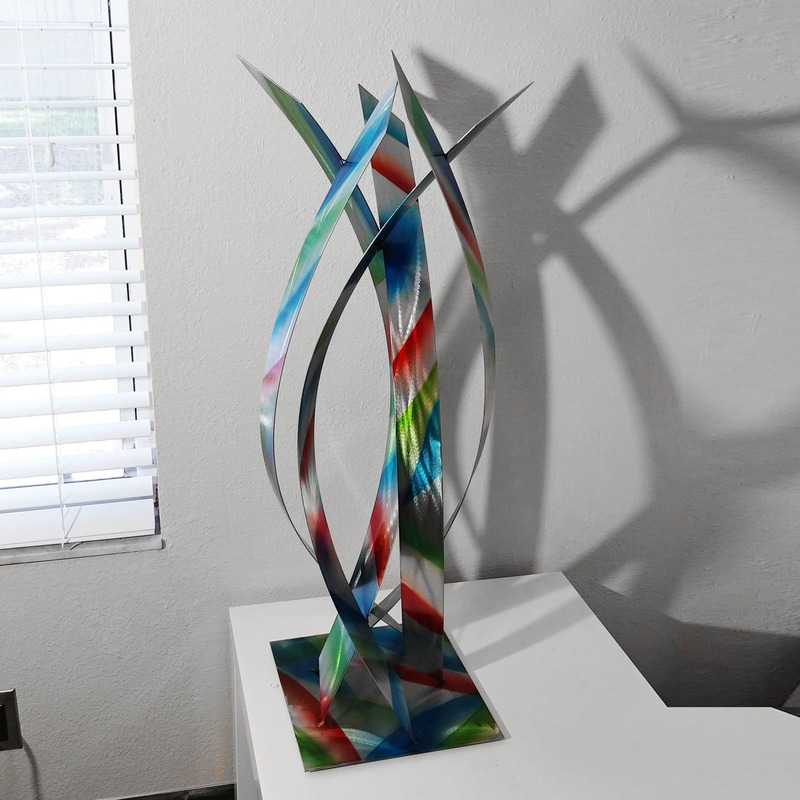 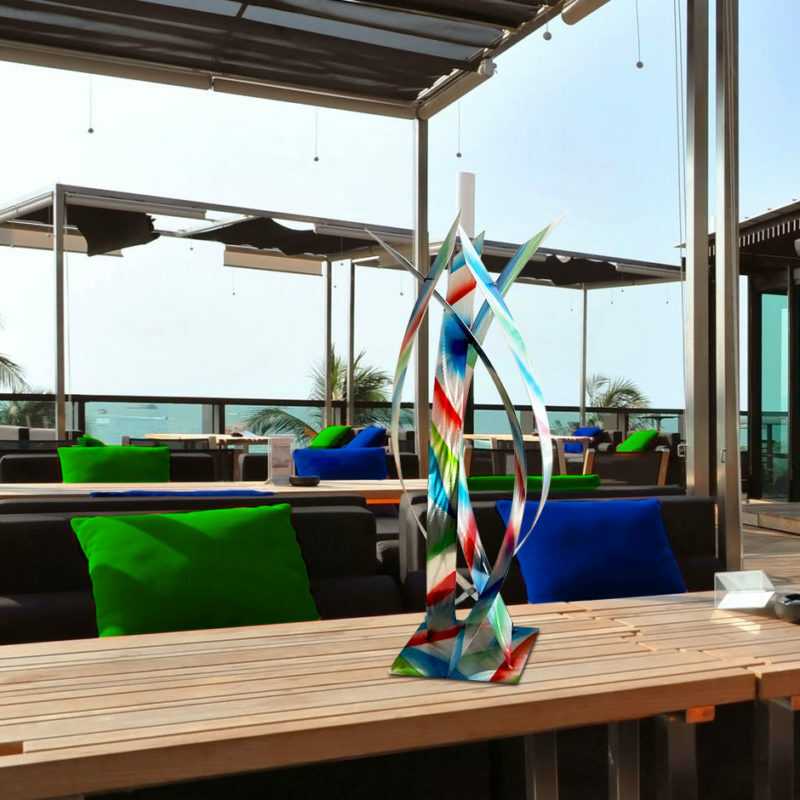 The bladed pieces contain reflect the texture on the stainless steel with a color overlay of red, green and blue.